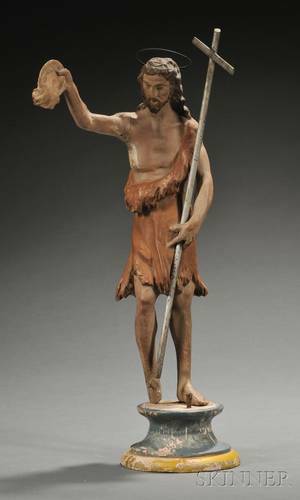 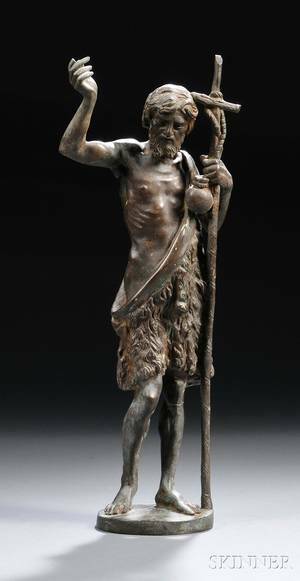 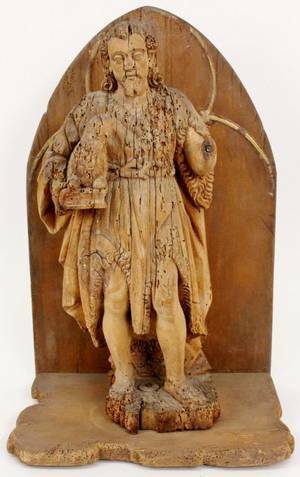 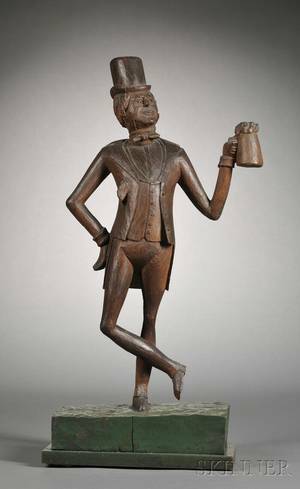 Continental, late 18th/early 19th century carved wood figure depicting Saint John the Baptist, the draped figure holding a lamb on a book in his right hand, his left arm outstretched, missing the hand, standing on a plinth before a cusped arch backboard. 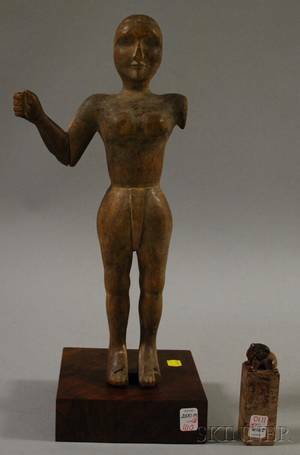 Height 21.75". 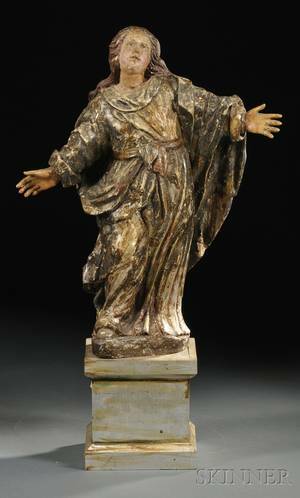 Width 14".